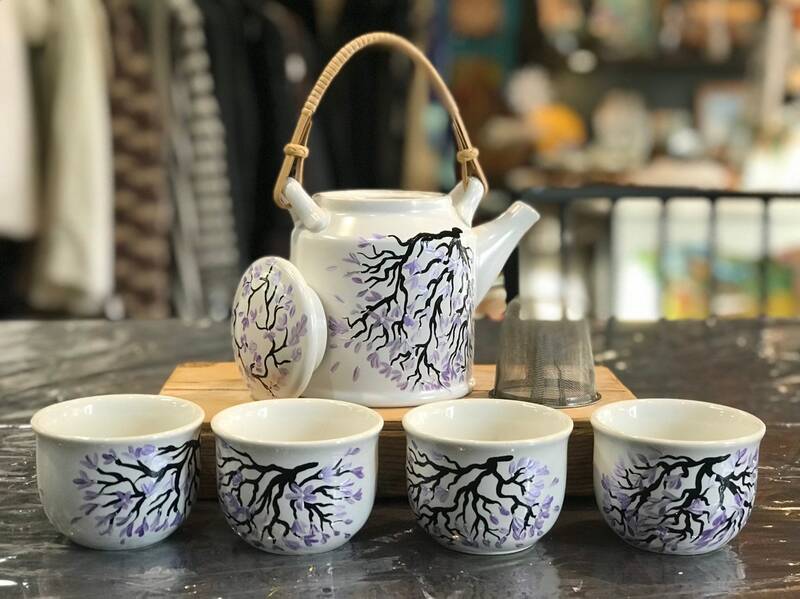 This Porcelain 6 piece Teapot Set with Bamboo handle and Cherry Blossom design is hand painted with Acrylic Enamel paint and signed by American Artist Penny FireHorse. 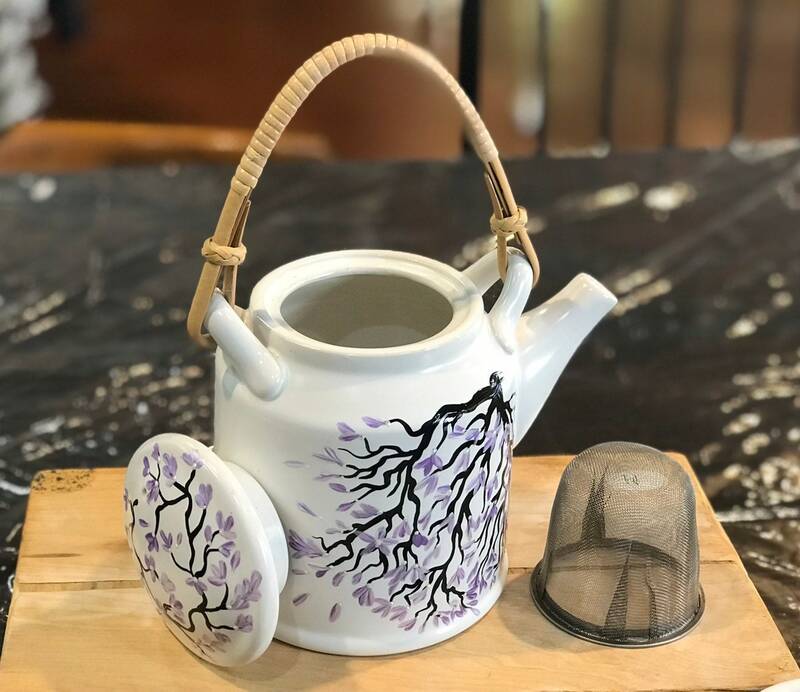 The Teapot has a metal strainer for maximum drainage for loose leaf teas and holds approximately 16-20 oz of water. The set comes with 6 oz cups. 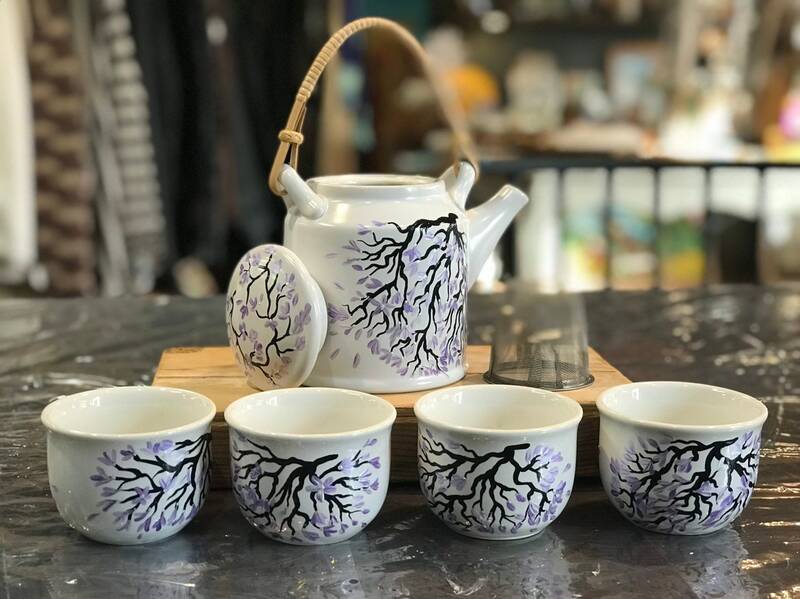 The teapot is not meant to be put on the stove, but hot water poured into it to steep tea. Each set is piece of art and can be used on a regular basis to enjoy as living art in motion. 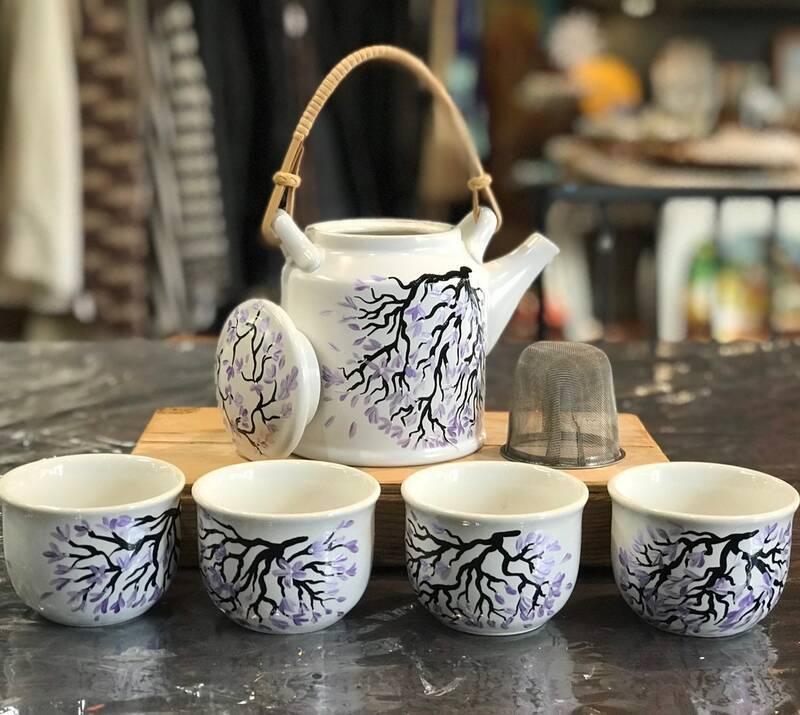 This tea pot set is 100% hand-painted using quality acrylic enamel paints and are cured resulting in a scratch-resistant, high-gloss finish. They are created and signed by American Artist Penny FireHorse. Please hand wash only to preserve as a lasting heirloom.